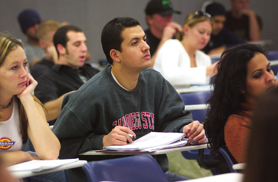 SDSU offers many opportunities for strengthening your ethical and civic responsibility. Be Civil, Pass it On . . . 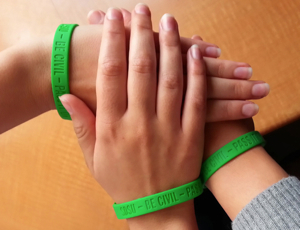 The Civil Core is working to spread civility at SDSU. Looking to get involved through volunteerism, civil engagement, student-to-student mentorship? Feel an urge to "pay it forward"? Since 2008, Civil Core, a student organization at San Diego State University, has been taking steps to spread an attitude of community, kindness and positivity throughout the Aztec campus. Service and support organizations at SDSU offer many opportunities for developing personal leadership, helping others, and making friends.